Simon Wong brings with him a colorful fabric of experience gained from nineteen years of commercial exposure within Asia. During these nineteen years he held positions of Regional Manager and Managing Director of US and European global corporate. From China to Hong Kong and all the way to Indonesia he was constantly competing to gain market share and at the same time developing strong and collaborative relationship with channels and customers. His marketing and financial knowledge gained from his professional qualifications served as a solid foundation in understanding and appreciating complex business structure and systems. This unique combination of business acumen, market knowledge, human relationship, financial literacy coupled with distinctive communication skills allows him to consult and coach entrepreneurs and business executives. In the field of corporate training he had delivered seminars, workshops on coaching, leadership, communications and selling skills in Singapore, Malaysia, Thailand and Hong Kong. He regularly co-trains on NLP certification training to trainers, lecturers, school principal, senior executives, therapist and etc. His latest passion is to develop habit of excellence in management and leadership through the processes and tools of Neuro Linguistic Programming (NLP). He is also a developer of new tools and processes using the NLP Modeling technique. 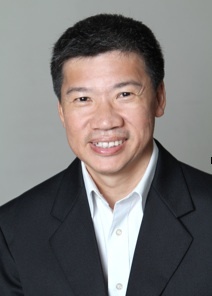 He has undertaken and delivered projects in the Singapore Armed Forces (SAF), Innovation Resources Group, M.I.C.E Matters Pte Ltd and others. He has coached executives in banks, IT industry, education industry, print industry and others. Services offered: Training, Executive Coaching and Consulting. Read articles from Simon here.